Dell wants to compete with the Xbox and PlayStation gaming consoles, introducing a fully loaded gaming PC with the Linux-based, SteamOS operating system. 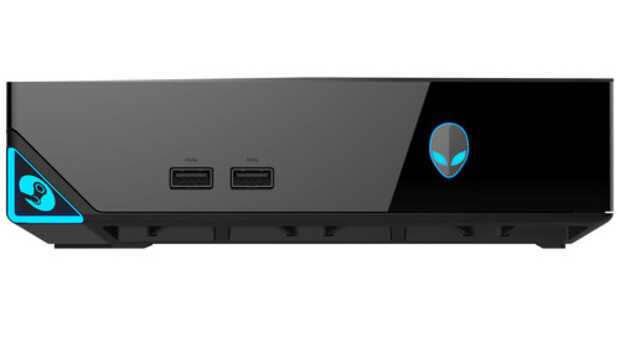 The Alienware Steam Machine, has a rectangular shape and will be based on upgradeable PC hardware, which is better than traditional game console hardware that cannot be modified or upgraded, said Bryan DeZayas, marketing director at Dell's Alienware gaming PC division. The Steam Machine is based on the concept game console design from Valve, the world's largest independent game distributor. Dell's console will ship in the latter half on this year and be competitive on price with gaming consoles, DeZayas said. Microsoft's Xbox One is priced at $499, while Sony's PlayStation 4 is $399. "We'll be delivering higher performance than what consoles have today." DeZayas said. "We're taking it to the next level from a size perspective." A prototype of the PC gaming console will be shown at the International CES show in Las Vegas this week. SteamOS, a Linux-based OS for gaming, will power the console. The OS is built around Valve's Steam multiplayer gaming and communications platform, which has 65 million users and has boasted 7 million concurrent users at peak. Dell did not provide hardware details, but prototype Steam consoles sent to beta testers last year had gaming controllers and Intel's Core i7/i5/i3 processors, Nvidia GeForce graphics cards, 1TB hybrid hard drive/solid state drive storage with 8GB of cache, 16GB of DDR3 DRAM, and 3GB GDDR5 video memory. Later this year, Dell will put SteamOS on its X51 gaming mini-desktop, which is priced starting at $599. A base configuration of the PC has an Intel fourth-general Core processor code-named Haswell, a 1TB hard drive and an Nvidia GeForce GTX 645 graphics card. The X51 currently runs on Ubuntu, but SteamOS will be an upgrade for gamers. The Steam Machine does not imply that Dell is giving up on Windows as a gaming platform, DeZayas said. Windows will remain a mainstay OS in other Alienware offerings. However, SteamOS does have advantages over Windows in gaming, DeZayas said. More maintenance and driver updates are needed for Windows, while SteamOS has a better update system in place, DeZayas said. SteamOS is built on Valve's strong gaming ecosystem that makes it easier to run multiplayer games from any location, DeZayas said. "PC games hasn't been the easiest experience for customers," DeZayas said. Dell is also trying to bridge the gap between Windows PCs and the Steam Machine. Users will be able to stream games from Windows PCs to the Steam Machine via a wireless network. Users can also play games from Valve's catalog originally purchased for Windows on Steam Machines without purchasing a new copy. The Steam Machine is an interesting twist in Dell's strategy to tune its operations as a private company. Last year Dell was bought out by CEO Michael Dell and Silver Lake Partners in a private equity transaction for $24.9 billion. Dell has been focusing on enterprise products, but the new gaming machine reiterates the company's commitment to the PC market. Last year the company revamped its PC lineup and re-entered the consumer tablet market with new Venue products.